” Best-in-class ” Radiology/Imaging facility & Laboratory, with transfusion medicine. Global Hospitals’ health care practice has been built over ten years’ dedication to excellence, innovation and advancement.A group of centers of medical excellence offering specialised tertiary care and multiorgan transplantation services since 1998, Global has brought the highest quality of technology, skills and ethics to health care in Hyderabad.The Bangalore centre, BGS Global Hospitals keeps alive the Global torch of excellence. Chennai, Mumbai, Kolkata and other major cities are all set to experience the Global brand of expertise and service very shortly. Multi-organ transplantation including “Cluster Transplantation”. BGS Global’s Medical Gastroenterology service offers a comprehensive program that focuses on clinical patient care in diseases of the GI Tract and Liver. Autoimmune and Genetic Liver Diseases. Spleen, Liver, Pancreas Surgery. Micro Laparoscopic Surgery. 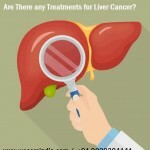 The Hospital is a focused liver transplantation facililty, another first in Bangalore. The Liver Transplant unit, a highly specialized team consisting of Transpant Hepatologists, Micro Vascular Surgeons, Anesthesiologists, Transplant Pathologists and other medical specialities provides world-class surgical expertise in living and cadaver donor Liver Transplants. This, one of the very few units of its kind in the Country, is supported by a dedicated liver ICU and step down unit. The Department of Minimal Access, Gastrointestinal and Bariatric Surgery is a part of the Institute of Liver and Digestive Diseases at BGS Global Hospitals. The Department specialises in the treatment of various gastrointestinal diseases using minimal access surgical technology. Minimal injury to the tissues. As a tertiary care multispecialty hospital, BGS is equipped with post-modern equipment and facilities to treat the whole set of gastrointestinal diseases and conditions. Laparoscopic Surgery in Acute Abdomen. Laparoscopic Surgery in Abdominal Trauma. The Department features state-of-the-art equipment such as high definition laparoscopic camera system, digital electrosurgical units, ultrasonic knife, laparoscopic CUSA, ligasure, radio frequency ablation unit and laparoscopic ultrasound. These gadgets enable our expert surgical team to operate on most gastrointestinal cancers by laparoscopic surgery. Morbid Obesity is a proven health hazard that leads to conditions such as diabetes, high blood pressure, heart disease, stroke, infertility, arthritis and cancer of breast, prostate and colon. For various reasons, people with the tendency to put on excess weight become obese irreversibly. For them, the ideal methods of slimming down prove impractical and they become exposed to a high risk of contracting life crippling ailments. Bariatric Surgery offers real help to such severely obese people. It refers to surgical methods that restrict intake and absorption of elements from the food into the system, effectively limiting the chances of fat accumulation. The choice of surgery depends upon its suitability to achieve the objective. The approach and methodology is effective, safe and is being widely accepted. These procedures are performed using minimally invasive laparoscopic techniques. Minimally invasive surgery means faster recovery, lower hospitalization expenses and less scarring translating into greater patient comfort. The stomach is converted into a long thin tube by stapling along its longitudinal axis. The excluded part of the redundant stomach is removed through a small incision. This procedure involves creating a small stomach pouch so as to restrict the intake of food. A portion of the small bowel is bypassed and the intestine is connected to the pouch. This involves placing an adjustable, inflatable silicon band around the upper part of the stomach. Our surgeons carry out a pre-examination and assess the procedure best suited to the patient. Additionally, at BGS Global, we have a team of the finest health care professionals from other disciplines including Cardiology, Pulmonary Medicine, Endocrinology and Intensive Care to offer total patient care. Most importantly, BGS Global Hospitals has unparalleled expertise in Bariatric procedures. Headed by top-notch experts, our surgeons are pioneers in advanced laparoscopic techniques. Note: The ideal approach to reduce body mass is through appropriate dieting & regular exercises. Bariatric Surgery is suggested only in cases where these options become impractical. The Neurosciences Centre offers advanced services in Neurology, Neurosurgery, Orthopedics and Trauma Care. Manned by highly qualified specialists, it provides advanced Diagnostics and Therapeutics. Some unique features include a Center for Movement Disorders. a Sleep Lab, and an Epilepsy program that offers an in-patient unit with 24-hour video EEG monitoring for patients with seizure disorders. X-Knife Radiosurgery provides stereotactic radiosurgery and stereotactic radiotherapy as treatment options for some patients with brain tumours. Trauma Care, a priority at BGS Global Hospitals, is supported by state-of-the-art Accident and Emergency services, hi-end equipment in the Laboratory, Radiology, Physiotherapy and Rehabilitation units and a multispecialty team of doctors and surgeons. 14 fully equipped OTs on par with international standards manned by well-trained personnel function round-the-clock to help care for the multitraumatised patients. Specialised interests include surgical management of lower extremity trauma and pelvic injuries. A Spine Clinic has been setup to address all spine problems including skeletal deformity correction. 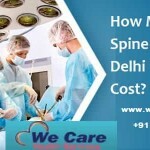 State-of-the-art care is offered for patients with spinal disorders including degenerative problems, spinal instability, tumours of the spine and spinal cord, vascular malformations and congenital anomalies. Computer-assisted Stereotactic Spine Surgery (neuro navigation) and Minimally Invasive surgical options are available for select conditions. A unique feature of the Kidney Transplantation unit is Laparoscopic Donor Nephrectomy. that enables donors to be discharged much earlier than otherwise. This Unit is staffed by skilled professionals with extensive man years of experience in handling Nephrology-related complications and Renal Transplant Surgery. Intensive / Critical Care Nephrology. Continuous Ambulatory Peritoneal Dialysis (CAPD). A Dialysis unit offers HD for management of ESRD. It offers CRRT for the management of acute renal failure, especially in the critical / intensive care unit setting. 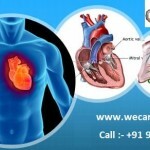 The Unit also offers online HDF to patients on a regular basis. Online HDF is recommended for patients who are intensely uremic and ICU patients with sepsis, poor cardiac function and for haemodynamically unstable patients. The CAPD (Peritoneal Dialysis) Training Center at BGS Global trains patients, nurses and doctors in the technique of CAPD (Home Dialysis – an alternative to Kidney transplantation). Total joint replacement surgery is a specialty service available at BGS Global. Orthopedic problems afflicting infants and children are varied, multiple and complex. BGS Global’s pediatric orthopedic surgeons provide care to children and teens suffering from neuromuscular conditions, spine deformities, congenital anomalies and acute orthopedic conditions. Our staff also cares for children and teens who sustain complicated fractures or injuries. BGS Global treats acute and degenerative conditions that affect the spine and joints. The Orthopedic Care Center offers patients the most advanced techniques and treatment to manage and resolve spinal and orthopedic conditions. Institute of Orthopedics: The Orthopedic Center at BGS Global Hospitals is the result of careful and considered planning with the patient’s comfort and convenience in mind. The Orthopedic team is composed of respected physicians specializing in orthopedics, neurosurgery and spinal surgery who work in concert with our multi-disciplinary clinical staff of specialty nurses, other healthcare professionals to provide patients the comprehensive care they need with a patient centered philosophy. In tune with our mission, at BGS Global Hospitals, we look at heart care with a holistic perspective that goes beyond superior diagnostic and treatment procedures to post-treatment management and preventive cardiology. A premier lineup of world-class diagnostic methods and procedures helps us assess heart ailments precisely. 64 Slice Cardiac CT scan. Automotive Implantable Cardioverter Defibrillator (AICD). We are one among the very few hospitals to have almost completely adopted the radial approach to perform various invasive coronary procedures. This approach calls for guiding pre-shaped catheters to the relevant coronary artery through the radial artery located in the wrist. owing to the relative advantages it provides in managing patients. The approach cuts down the chances of certain common post-procedure complications, even with patients with non-conducive conditions. Importantly, the radial approach happens to be most beneficial to the patients in terms of reduced pain, discomfort, hospital stay, cost and of course, a drastically reduced incidence of complications. After the radial coronary procedure, patients spend few hours relaxing in a specially designed radial lounge before being discharged the same day, making it virtually an outpatient procedure. We strongly believe in the popular saying ‘prevention is better than cure.’ We are committed and are working on quite a few unique initiatives to facilitate awareness about the risk factors and proven preventive methods. One of them is a ‘Cardiac Check and Care’ package – for those with primary symptoms or with greater risk factors. This involves all primary checks and extended diagnostics on a need basis followed by educative instructions on preventive techniques and management. Morbid Obesity is a proven health hazard which leads to conditions such as high blood pressure, diabetes, heart disease, stroke, gall stone disease and cancers of breast, prostate and colon. For various reasons people with tendency to put on excess weight become obese irreversibly. For them, more common methods of slimming down prove ineffective and they become high risk candidates for life crippling ailments. Bariatric Surgery is of great help to such hopelessly obese people. It refers to surgical methods that restrict absorption of elements from the food into the system, thus effectively limiting the chances of fat accumulation. Depending upon the suitability, gastric banding or gastric bypass procedures are adopted via minimally invasive laparoscopic techniques. Headed by top-notch experts, BGS Global’s surgeons are pioneers in advanced laparoscopic techniques and possess unparalleled expertise in Bariatric procedures. The Hospital also has a team of the finest health care professionals from other disciplines including Cardiology, Pulmonary Medicine, Endocrinolog to render active support. Diagnosis, evaluation and treatment of all malignant disorders. The specialised day care Chemotherapy unit enables Oncologists to administer effective and safe Chemotherapy. Image Guided Radiation Therapy (IGRT). Since there’s more to cancer treatment than just radiation, the Center has enlisted the support of voluntary organisations to address patients’ financial and emotional concerns. Blood Bank / Transfusion Medicine. The main focus areas of the Hospital have the backing of comprehensive and state-of-the-art Radiology / Imaging and Laboratory services with Immunology and Transfusion Medicine. The Apheresis unit enables the drawing of selective blood components from donors. The laboratory offers a gamut of services to support the tertiary care services in the Hospital. These include Clinical Bio-Chemistry. Haematology, Histopathology and Microbiology. The facilities feature random access clinical chemistry analyzers, a fully automated chemilumiscence system, electrophoresis sysetem, fully automated five part differential cell counter, automated and semi automated ELISA processors, automated blood culture and a TB culture system. The imaging infrastructure sports a PET scan, 1.5 Tesla MRI, 64 Slice Lightspeed VCT Cardiac Scanner and ultrasound machines.